12 dramatic colour-effect knits for women and girls 2 to 13 years using Sirdar Indie. We have easy little jackets and waistcoats in stocking stitch and rib, gorgeous garter stitch scarves with fringing and flowers, and easy knitted bags. 14 dramatic colour-effect knits in Sirdar Indie for men, women and girls. With an emphasis on fashionable, easy knits, this book has wearable outdoor styles in the most incredible colours. Indie knits are fabulously easy for beginners and knitters of all levels can enjoy creating a unique handknit with dramatic colour and style. 18 dramatic colour effect knits in Sirdar Indie for women and girls: we have created the easiest fashion shapes to enhance the dramatic colour effects in these stunning hand knits. There are fabulous wearable designs with plenty of easy knits too - great for beginners! Every Indie garment will be unique. 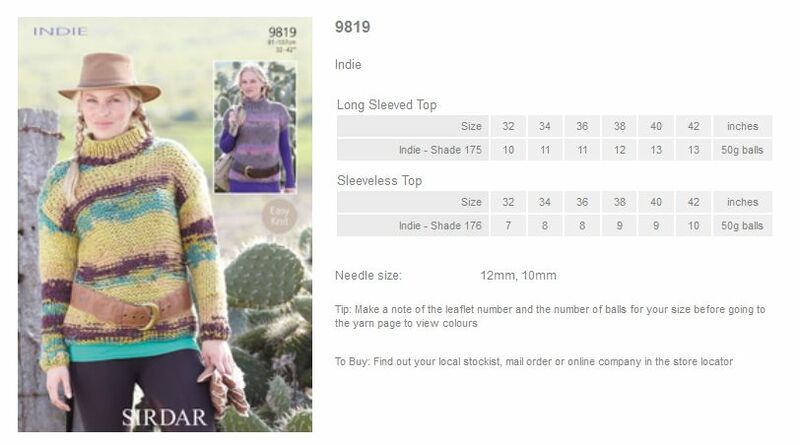 Leaflet with designs for a Long Sleeved Top and Sleeveless Top using Sirdar Indie. 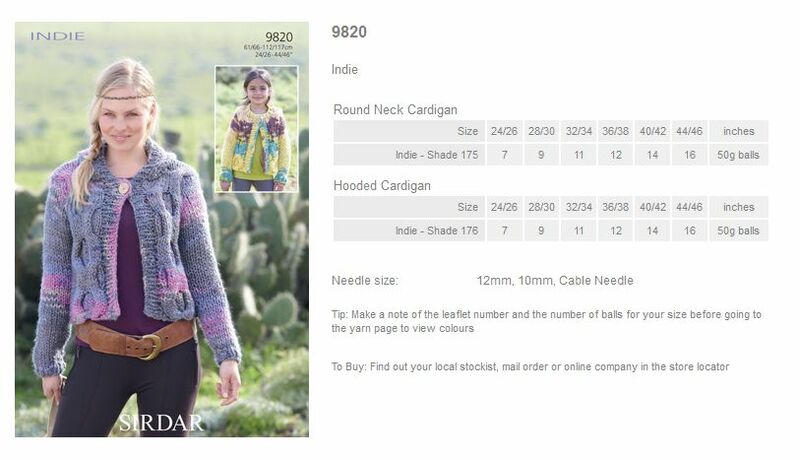 Leaflet with designs for a Round Neck Cardigan and Hooded Cardigan using Sirdar Indie. 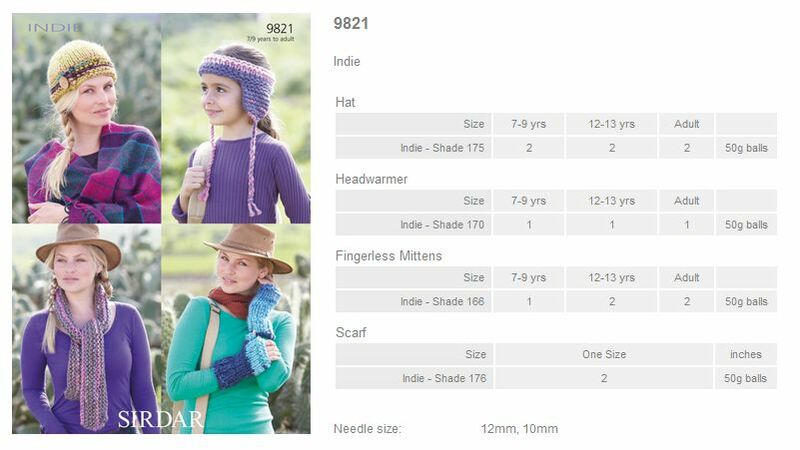 Leaflet with designs for a Hat, Headwarmer, Fingerless Mittens and Scarf using Sirdar Indie.